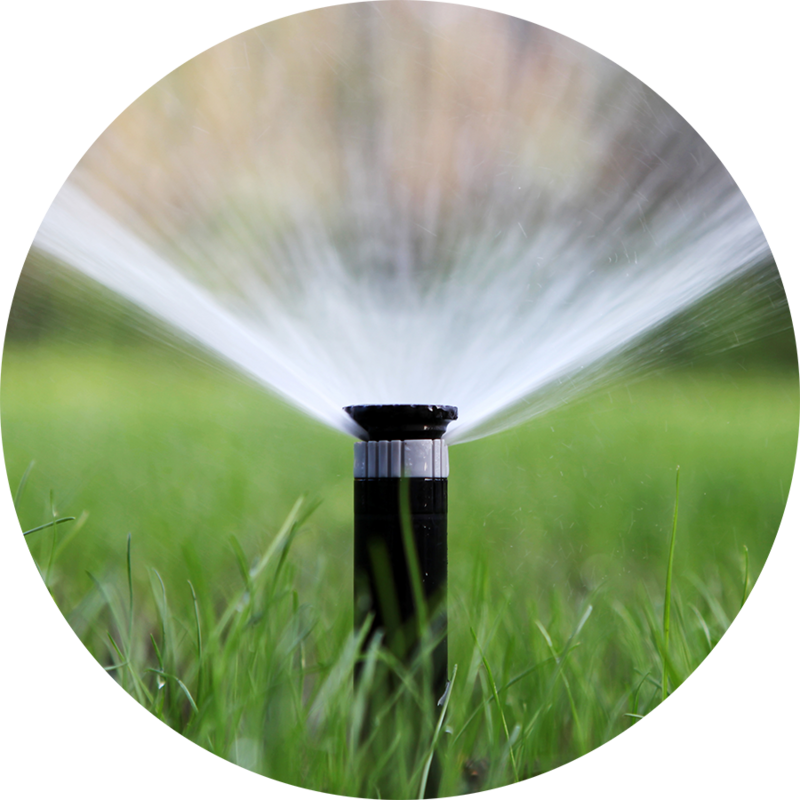 Most of the time, checking each sprinkler head for proper function and distribution will identify problems before the landscape starts suffering. Fix: Redirect pop up nozzles so that water is applied only on the landscape. If your spray pattern is greater than your landscaped area you may need to replace the nozzle with a different spray pattern. Fix: Replace nozzle and filter; check nozzle and filter for damage or blockage. Fix: Check nozzle for damage or blockage; replace nozzle with proper pattern; increase or decrease throw by turning screw on top of nozzle. Tighten the screw to decrease the throw or loosen the screw to lengthen the throw. Fix: Cracked or broken nozzle; replace nozzle. Fix: Reset pipe to perpendicular; this may require you to loosen the soil around the irrigation head and riser, pull the head perpendicular and then tamp the soil back in place or re-install the tee. Fix: Usually caused by too much pressure; install pressure regulator either at meter or use pressure regulating heads. Fix: Raise or lower riser; move sprinkler head. Fix: Correct distribution; maintain a mulch layer on all planted beds; aerate and add about ½ inch of compost to lawn area. Fix: Broken or leaking pipe or valve. Fix: Soak and cycle – on your irrigation controller set the station to run for two or three short intervals instead of one longer time.